Our local church, so guided by the Holy Spirit, has embarked on a pilgrimage of intercession for our nation. 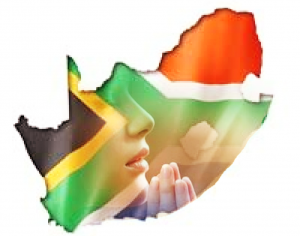 “Pray for South Africa”. What that means in practice is that a significant portion of our Sunday morning services have been ceded to prayer. A few months in, and we’re learning to shun fear and stand in faith as we square up to the enormous challenges of the day. So far, so good! The other Sunday morning I woke early with a single sentence running around on the inside: “Pray that the country doesn’t burn!” What a charge. And what to make of it? A threat of civil war? Anarchy? Perplexed, I made my way to the gathering. “On Thursday evening we overnighted with our daughter and family. It was her birthday, and all four of our children with their families joined us for supper at a local restaurant. As we were leaving the restaurant we noticed a fire on the horizon in the direction of their homestead, and the journey home soon revealed that the farm was ablaze, with the homestead under threat. Immediately, the decision to evacuate was taken. We tried to quickly pack a few things, but at times like that realise that the only thing of any importance is the saving of lives. As we left the homestead, we saw the lights of many vehicles driving up to the farm from the village to see if they could help. There was a great deal at stake, including a second homestead and several bed and breakfast rooms that are income-generating. There seemed little hope, but then our prayers were answered, as the wind first changed direction, and then died down. The next morning we saw that the flames had stopped less than a hundred metres from the fence that surrounds the homestead. God is the God of the impossible, and this hopeless situation became a celebration of His love, faithfulness, grace and mercy. That testimony provided an extraordinary context of faith in which to “pray that the country doesn’t burn”. This we did, calling on the God of the impossible, who wills that none perish, but that all are saved. Pray with us. 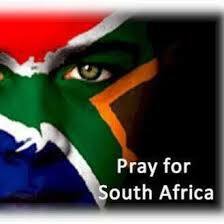 Pray for South Africa. Pray for peace and prosperity. Pray for repentance and faith. Can a nation come to God, and substantially so? Of course it can! Can a nation escape from the threat of destruction and emerge humbled, believing, and pulsating with life in every sense? Of course it can. And our God wills it so!